In these black-&-whites, the Climate Change / Sea Level Rise groups make a statement! Sports group with teacher-mentor, Ms. Nagata. "Be the change the world refuses to make." "Nature is a miracle we depend on." 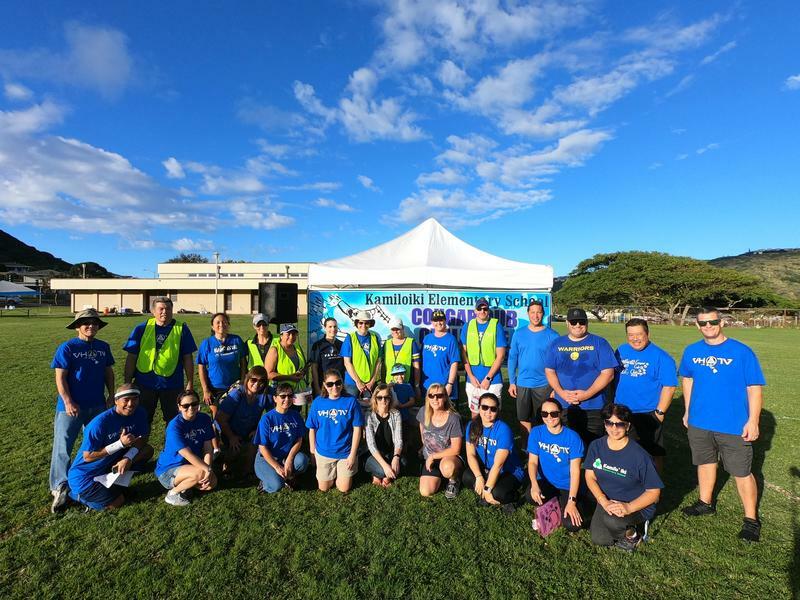 Welcome to Kamilo`iki Elementary School! We are located on a hill above Kamilo`iki Valley, in the heart of Hawai`i Kai on the south eastern side of the island of Oahu. Kamilo`iki, which means "the little milo tree", opened in 1970 and has around 400 students. The symbol of Kamilo`iki School is a tri-leaved branch of the Milo tree with a flower in the center. At Kamilo`iki, our vision is to be a premier math and science/technology center that emphasizes exploration, discovery and achievement within a global community. 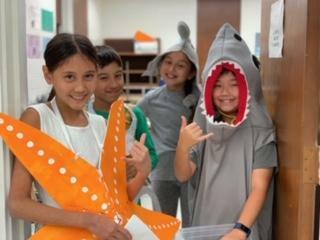 Our mission at Kamilo`iki Elementary School is to promote a partnership of students, parents, community and staff dedicated to developing inquiring, knowledgeable and caring young people who understand, respect and make positive contribution to our diverse world. We hope you enjoy visiting our website and find it helpful. Parents, visitors and volunteers are to report immediately to the office when coming on campus. They are required to sign-in at the office and wear a visitor badge at all times. To minimize disruptions to our students' learning environment, please do not enter any classroom or other school facilities without prior authorization from the teacher or principal.